Be a part of Paul Rishell and Annie Raines Silver Jubilee Tour celebrating 25 years of musicmaking. 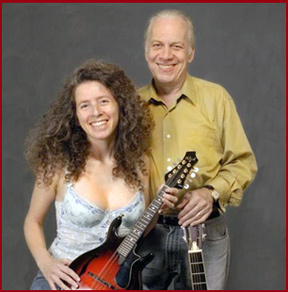 When 22-year-old harmonica ace Annie Raines first sat in with 42-year-old country blues guitarist Paul Rishell in a Boston bar in 1992, few in the crowd suspected that they were witnessing the beginning of a musical partnership that would span the next twenty-five years and counting. But after 25 years and six albums, Paul and Annie have become the blues' most dynamic duo, racking up hundreds of thousands of miles on the road in the U.S. and Europe, collaborating on original songs and releasing "I Want You To Know," "Moving To The Country," the W.C. Handy Award winner for Acoustic Blues Album of the Year, "Goin’ Home," which was nominated for two Handy Awards and the live recording "A Night in Woodstock," featuring special guests John Sebastian, Bruce Katz, and their own backing band, Mojo Rodeo (pronounced Ro-DAY-o). Each release earned them multiple Blues Music Award nominations.